Over the last three months, openGlobalRights has brought together leading practitioners from various fields to debate economic inequality from a human rights perspective. In framing the discussion, we argued that the worldwide pattern of growing disparity between rich and poor, and the steadily increasing concentration of wealth in the hands of a tiny elite, is one of the critical public policy issues of our time and a defining feature of our global economic order. A recent report from Oxfam reveals that the inequality crisis has reached new extremes, with the richest 1% now owning more than the rest of the world combined. Yet the implications for human rights of this alarming phenomenon have barely received attention from the human rights community. The contributors to the debate so far are among the growing number of human rights thinkers and practitioners who are breaking this silence. Drawing on the threads of the debate, this article proposes four essential tasks for the human rights movement as it comes to grips with the conceptual, normative, strategic and methodological challenges that addressing economic inequality poses. As Sakiko Fukuda-Parr points out, most of the contributions to the debate so far see extreme economic inequality as a threat to human rights for instrumental reasons, for example because it skews access to political participation or to the goods and services people need to realize their rights to health, education or housing. She urges us to go further in seeing extreme inequality as an inherent injustice. In stark contrast, Samuel Moyn maintains that “even perfectly realized human rights are compatible with radical inequality”. What, then, is the relationship between extreme economic inequality and human rights—an intrinsic injustice, an instrumental threat or an independent phenomenon? Economic inequality is clearly a human rights concern where it can be shown to be a cause or consequence of human rights violations. The link between rising inequality and economic and social rights abuses has come to the fore very clearly in the recent context of austerity and recession in many countries. Take the example of Spain. The country has experienced a sharp rise in income inequality since the economic crisis of 2008, becoming one of the most unequal in Europe. As the Center for Economic and Social Rights (CESR) has shown, one of the many causal factors behind this trend is the stagnation of the minimum wage at a level way below the threshold established in European social rights treaties, while high-income earners have been privileged by a regressive and discriminatory tax structure conducive to tax evasion and avoidance. Growing income inequality can thus be directly attributed to a breach of the government’s human rights obligations in the sphere of labour and fiscal policy. 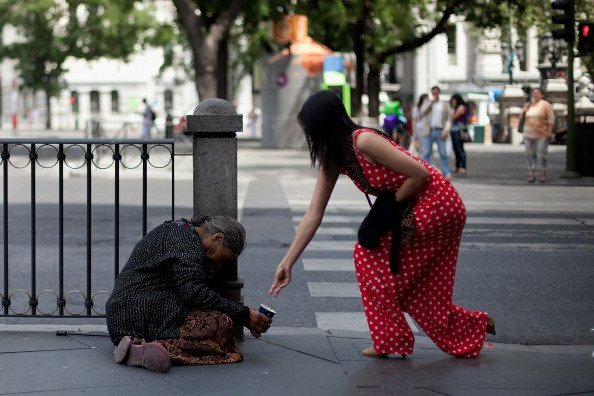 In turn, escalating economic inequality in Spain has led to widening disparities in access to health, housing and other economic and social rights. Studies drawing on experiences from other countries have also shown how extreme inequality can result in chronic human rights deprivations more indirectly by fuelling financial crises, armed conflict, state repression and political capture. As Balakrishnan and Heintz emphasize, these are conditions in which all human rights are systemically placed at risk. Beyond being a symptom or a determinant of human rights deprivations, can extreme economic inequality be considered intrinsically incompatible with human rights standards? What exactly do these have to say about economic inequality? While international human rights law says little explicitly about the level of economic inequality that can be reconciled with human rights fulfilment, a strong normative framework for addressing inequality and redressing its consequences can be built on several complementary pillars of human rights principles. First, international human rights law does directly address questions of resource distribution. The widely-ratified International Covenant on Economic, Social and Cultural Rights (ICESCR) obliges States to devote the “maximum available resources” to ensure their progressive fulfilment, and to guarantee a minimum core of rights enjoyment to all, without discrimination or retrogression. Where minimum essential levels of these rights have not been achieved universally, or where there is a notable deterioration in rights enjoyment, a government may be in breach of these obligations if it has not explored all appropriate measures to generate and redistribute resources, such as progressive taxation and social transfers. It would have a particularly strong case to answer if persistent or worsening deprivation co-exists with rising wealth concentration. Second, equality and non-discrimination norms also require states to redistribute resources in order to reduce disparities in human rights outcomes and ensure substantive equality for groups facing gender, racial or other forms of discrimination, including in the economic sphere. Other non-discrimination provisions of international standards also provide a potential foothold for challenging regressive policies skewed against the poor as discriminatory on grounds of economic and social status, though in practice they have been woefully under-utilized to this end by courts and human rights monitoring bodies. Human rights standards may not make explicit reference to economic inequality, yet they have much to say about the policies and practices that give rise to it.Third, human rights standards contain a wealth of provisions regarding the determinants of economic inequality—that is, the policy interventions that most directly produce or contain it. Numerous recent studies concur that the roots of the current escalation in inequality lie in the erosion of labour rights, the undermining of public services and social protection systems, biased financial regulation and regressive fiscal policies skewed towards the better off, economic policies that discriminate against women and the capture of democratic decision-making by self-serving elites. Human rights standards may not make explicit reference to economic inequality, yet they have much to say about the policies and practices that give rise to it. These normative foundations can be buttressed by a fourth cluster of human rights standards—for example, on the right to development—that seek to tackle wealth disparities between states and to promote respect for human rights in cross-border economic relations. In practice, these have to contend with competing legal regimes governing international finance, trade and taxation, which have been shown to reinforce economic inequality across and within countries. Promoting respect for extraterritorial human rights duties in economic, tax and trade agreements would therefore be a fundamental step towards tackling structural global inequalities. While each of these four clusters of norms would benefit from further elaboration and application by courts and other enforcement mechanisms, taken together, they form the basis of a robust normative framework for anchoring a human rights concern about extreme economic inequality. Even if the links can be conceptually and normatively established, of what use are the tools and instruments of human rights in tackling economic inequality? Moyn laments that the human rights community has been little more than “a helpless bystander of market fundamentalism”, due, he says, to the limited enforceability of economic and social rights guarantees. Yet the value of framing extreme economic inequality as a human rights concern is to be able to hold governments and others accountable for the policy injustices underpinning it. Fukuda-Parr underscores this when she says that human rights can help fill the ethical void in economics and make a vital contribution to contemporary efforts to reverse the inequality trend. In fact, human rights activists are already engaging with various accountability mechanisms to challenge unjust inequalities resulting from human rights violations. Regressive tax policies which exacerbate inequality by placing a disproportionate burden on the poor have been overturned before constitutional courts using human rights arguments, while discriminatory fiscal austerity measures in different countries have been reviewed and critiqued by regional and international human rights oversight bodies. A number of important strategic opportunities have emerged to step up these efforts. Reducing inequality within and between countries is one of the 17 recently-adopted Sustainable Development Goals (SDGs). Goal 10 commits all states to progressively reduce income inequality by 2030, including by adopting fiscal, wage and social protection policies, and improving the regulation of global financial markets and institutions. As national plans for SDG implementation are devised across the globe, the human rights community has an important role to ensure that robust inequality-reduction programs are indeed implemented, and anchored in existing human rights and anti-discrimination commitments. Political leaders across the globe and international economic governance bodies such as the World Bank and IMF are increasingly voicing concern about the harmful consequences of extreme inequality, though as Alston points out, these have yet to lead to meaningful policy changes. International human rights bodies, including several UN special rapporteurs, are also beginning to question the compatibility of extreme inequality with human rights, and to call for a more effective response from the human rights regime. Human rights activists have a crucial role to play in nudging these institutions to play their accountability and governance functions more effectively. Several contributors ask whether the human rights community is equipped to play this role. Moyn, for example, questions whether advocating for the policy changes needed to reduce inequality lends itself to human rights mobilization. Tracking economic inequalities, linking them to breaches of human rights obligations and seeking accountability and appropriate remedies can be methodologically challenging, as it requires engagement with tools of analysis and advocacy more familiar to economists and development practitioners than to human rights defenders. But as Jiménez argues, inter-disciplinary collaboration can help build the evidence and make an effective case for equality-enhancing policy alternatives. CESR, for example, has teamed up with development NGOs and tax justice campaigners to expose the fiscal injustices fuelling inequality and to hold governments accountable, as well as to propose human rights-centered metrics of inequality under the SDGs. Moreover, campaigns such as Oxfam’s Even it Up indicate that a groundswell of ordinary people across the globe believe that extreme inequality is morally untenable, and can be mobilized into doing something about it. Human rights add to the discursive power of such campaigns by shifting understandings of extreme inequality as neither natural nor inevitable, but an injustice resulting from deliberate policy choices serving the interests of the few. Widening economic disparities are a defining characteristic of the prevailing economic regime, rather than an incidental or accidental by-product of it. Wealth is hemorrhaging upwards rather than trickling down. While influential philosophers may argue that it is absolute deprivation, not relative inequality, that is of intrinsic moral significance, human rights advocates on the ground cannot remain impervious to the ways in which state-sanctioned wealth concentration drives impoverishment. As in previous eras, policies aimed at a more just distribution of resources can be put in place when there is sufficient social consensus and political will to do so. If human rights are to be a countervailing force against the polarization being wrought by the dominant neoliberal economic paradigm, rather than a helpless bystander to it, their egalitarian potential needs to be more fully tapped.